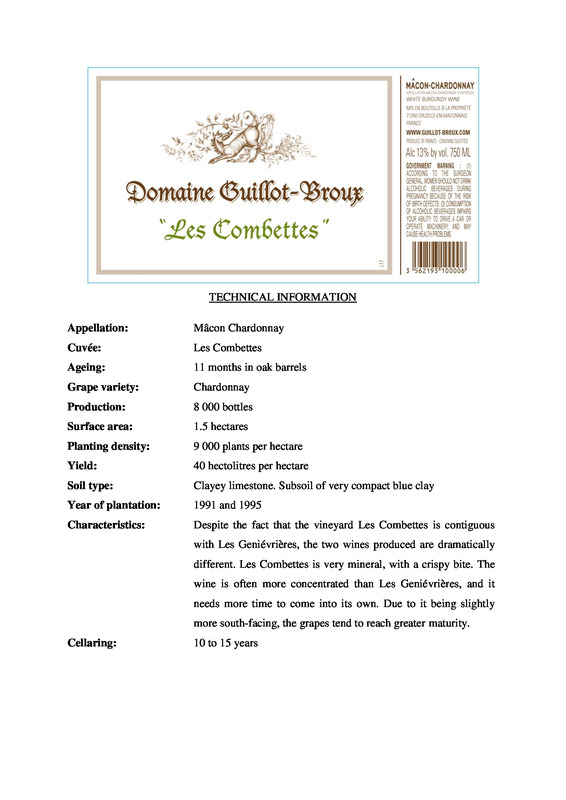 DDespite the fact that the vineyard Les Combettes is contiguous with Les Geniévrières, the two wines produced are dramatically different. 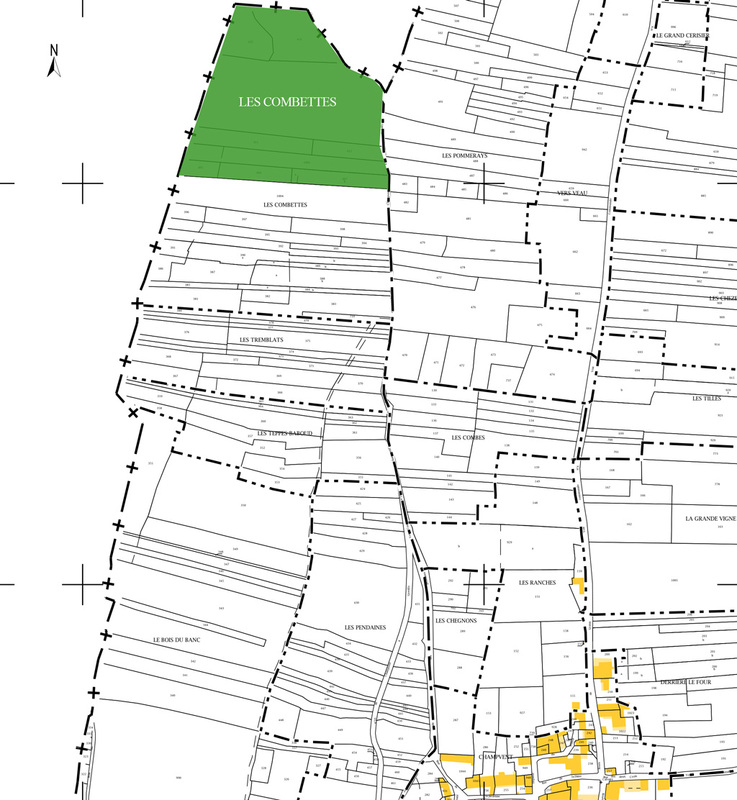 Les Combettes is very mineral, with a crispy bite. 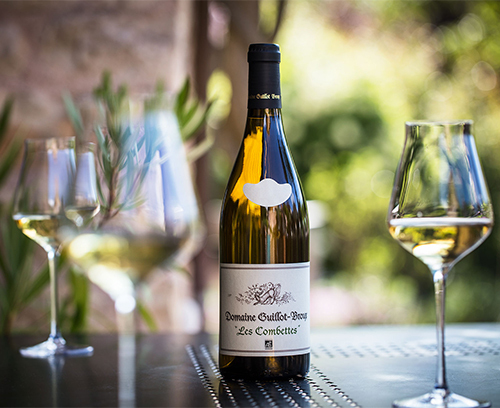 The wine is often more concentrated than Les Geniévrières, and it needs more time to come into its own. Due to it being slightly more south-facing, the grapes tend to reach greater maturity. 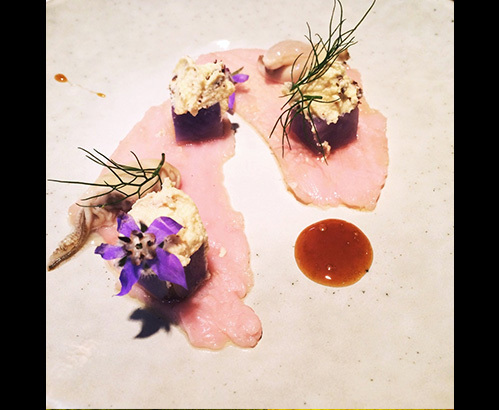 The chef : Amélie Darvas, from Haï Kaï in Paris, has selected milk-fed Basque veal, purple potatoes, Utah Beach oysters, crème (almost) brulée and a touch of Corsican grapefruit. 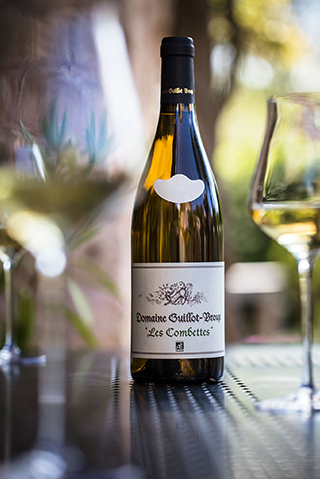 The sommelier : Gaby Benicio suggests les Combettes to accompany this dish; its complexity, freshness, hint of citrus, and roundness match it perfectly. 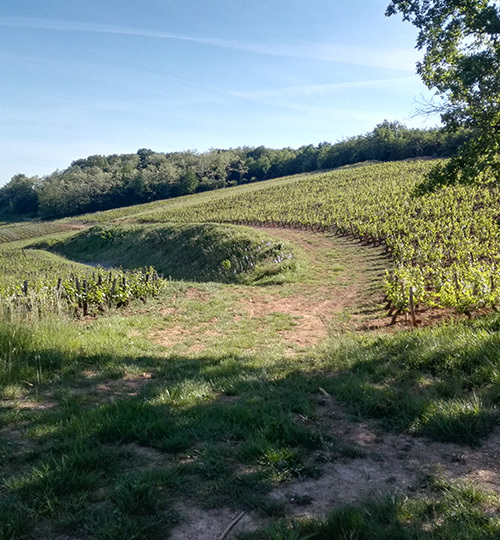 Although there is only a path separating Les Combettes from Les Genièvrières, the two terroirs are radically different. The appellation of Les Combettes is Mâcon Chardonnay (from the name of the village the vineyard is situated in, not the grape variety), and, thanks to the limestone bedrock having collapsed more than in Les Genièvrières, the vineyard is slightly more south facing, and is therefore warmer and the grapes ripen earlier. This, coupled with the low-yielding varieties of Chardonnay planted here, mean that the wines are always a little more rounded than Les Genièvrières.